A hat-trick in cricket is probably the most difficult achievement for a bowler. While they say a five-wicket haul is the bowling equivalent of a batsman's ton, there is no batting equivalent for a bowler's hat-trick. Taking three wickets in three consecutive deliveries demands unprecedented accuracy, consistency, skill, and luck. While picking up a hat-trick in itself is a big achievement, doing it on the biggest of stages is something that the bowlers can tell their grandchildren proudly. Here is a list of bowlers who belong to the elite club of having bagged hat-tricks in the showpiece event of cricket, the World Cup. 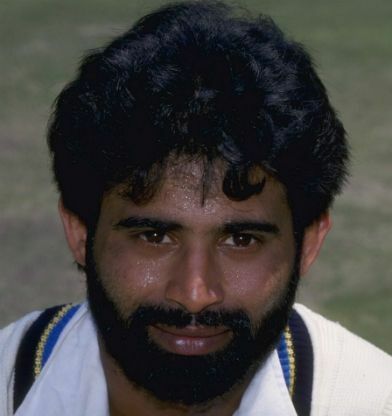 Being in the shadow of Kapil Dev for so long, the pocket-sized dynamite, Chetan Sharma became the first cricketer in the history to pick up a hat-trick in a World Cup match. It was a group stage game against New Zealand, Chetan Sharma who was wicket-less in the match at the time, went on to pick Ken Rutherford, Ian Smith and Ewen Chatfield off three consecutive balls to register the first ever hat-trick in World Cups. Another beauty about this achievement is that all three batsmen were out bowled by Chetan Sharma. He's also India's first hat-trick hero including all three formats of the game. It might be ironical, but cleaning up the tail is indeed an art. Saqlain Mushtaq can say he mastered that art because he cleaned up the tail with a hat-trick. 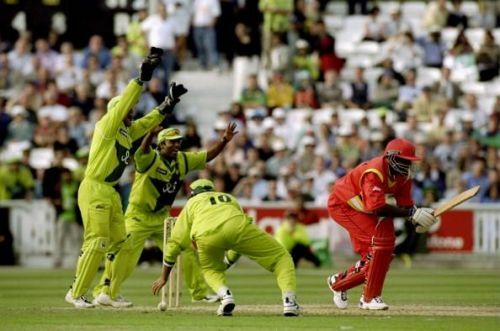 Yes, In a group game against Zimbabwe in the 1999 World Cup, Mushtaq picked up Henry Olonga, Adam Huckle, Pommie Mbangwa off three consecutive balls to seal the game for Pakistan. While the first two dismissals needed the help of Moin Khan's stumping skills, the last wicket was leg before wicket. Considering the batting abilities of the three, Mushtaq might not make a big deal of it, still, a hat-trick in a World Cup is a special feeling. It was the 10th match of the 2003 Cricket World Cup. Sri Lanka won the toss and asked Bangladesh to bat first. Chaminda Vaas etched his name in history books with his first 3 balls. He became the first player to pick up a hat-trick in the first 3 balls of an innings. The fact that it was a World Cup game made the occasion even more special. Hannan Sarkar, Mohammad Ashraful, Ehsanul Haque fell prey to Vaas's swing. Sarkar was clean bowled by an inswinger, Ashraful lobbed one back to Vaas and Eshanul Haque edged one to the slip cordon. Sri Lanka won the match comfortably with ten wickets in hand.